Help Stardust win for the holidays! We're involved in the Newman’s Own Foundation $500k Holiday Challenge and out to win $150k for emerging entrepreneurs. but more importantly, we move ideas. The Stardust-Startup Factory is a non-profit organization that provides funds for entrepreneurs and startups world-wide. Our microgrants focus on four areas--Sustainability, Mental Health, Physical Health, and Learning--where we see the potential for emerging entrepreneurs to make transformational changes. Stardust seed money is not only a means of financial support, it's a source of validation for the recipients. 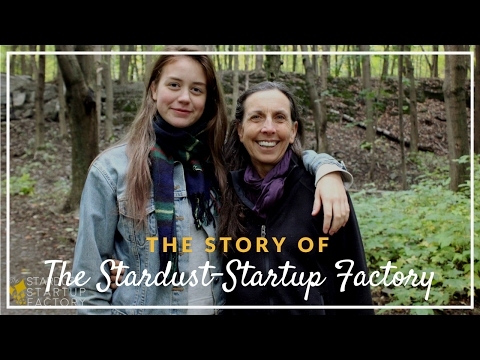 The Stardust-Startup Factory works with its microgrant recipients to ensure their success by providing the personal connection and genuine, hands-on interest that helps projects succeed! With $2000 of Stardust startup capital and a sense of confidence, a recipient can leverage Stardust microgrant award to take their work to the next level with resources from other sources. Newman's Own Foundation selected The Stardust-Startup Factory to participate in its Holiday Challenge! And we want you to be part of the fun and excitement by helping us win for the holidays! 1. You can make an on-line donation to "Help Stardust win for the holidays" by clicking the Donate button on this page. 2. Though a one-time donation is super appreciated, you may want to play a greater role as part of our Holiday Challenge team! Engage your network of friends and get them excited about Stardust and get them to share with their friends. Your one time contribution can grow exponentially! Simply click the big "JOIN THE TEAM & create your own fundraiser" button on this page and you'll instantly have your own fundraising page.